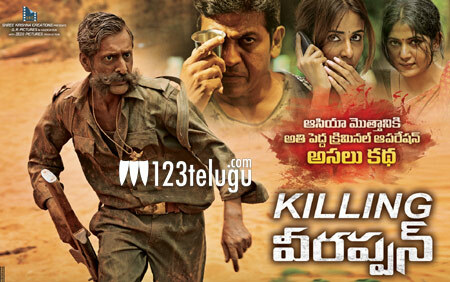 We have already reported that Killing Veerappan, which was supposed to release in Telugu on New Year was delayed due to censor formalities. The movie is finally ready to storm the theatres on January 7th. The Kannada version, which was released as planned, has been receiving universal applause and this has certainly raised the expectations of the Telugu version. Meanwhile, RGV has kick started an unique viral publicity stunt. He started spreading photos of different film personalities imitating the movie’s poster which shows the lead holding a coffee cup. Dubbed “storm in a cup,” RGV is once again slowly stirring up curiosity in the audience. So far celebrities like Puri and Ritesh Deshmukh have taken part in the campaign.